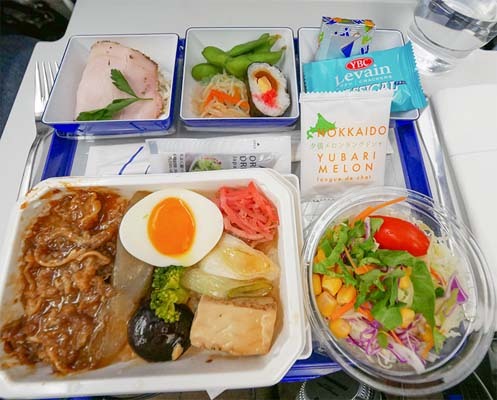 Our ANA flight from London Heathrow to Haneda airport was peaceful and waiting staff were friendly and attentive. Food was plentiful and in-flight entertainment was fairly varied. 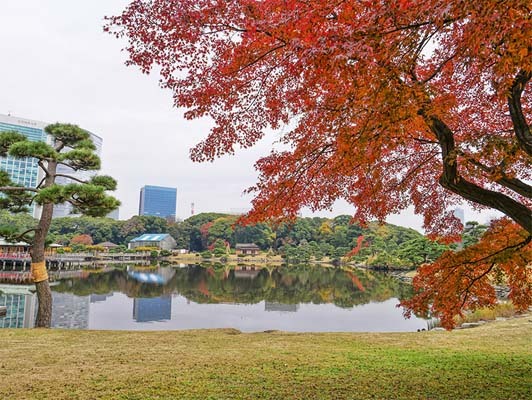 Hama-Rikyu Gardens are a real oasis of calm in the heart of Tokyo. Surrounded by skyscrapers, it is beautifully landscaped. There's a tea house in the middle of the lake. The garden has an unusual late blossoming cherry tree and stunning camelias. 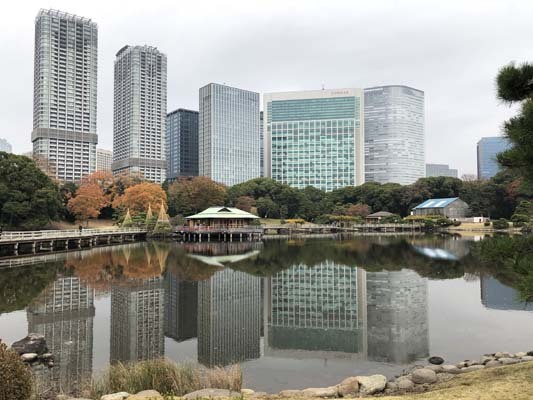 Hamarikyu Gardens is set in amongst the heart of the busy city of Tokyo. Here you will find a contrast between luscious gardens and concrete buildings. The beautiful setting and rich flora and foliage make for a beautiful stroll through the grounds. From the entrance way to the idyllic tea houses, the garden is the perfect place to visit all year round. 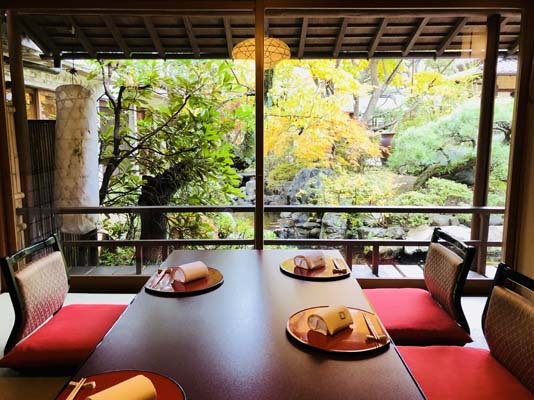 Tokyo Shiba Tofuya Ukai is set in beautiful gardens next to the Tokyo Tower, and has a series of private dining rooms with traditional seating. We tried a succession of delicious tofu dishes cooked in many different ways. 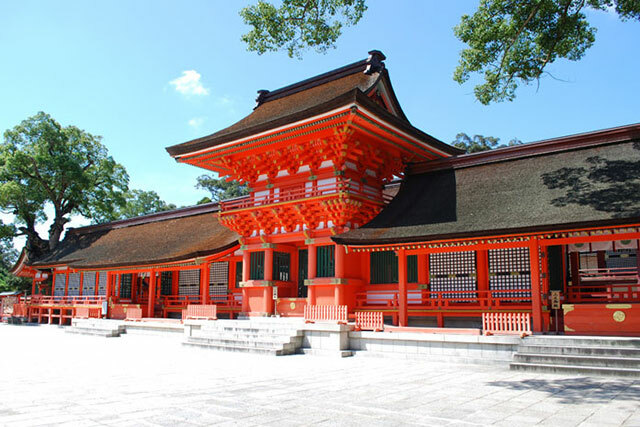 Tokyo Tower is an imposing sight with its bright orange metal framework. Through the glass windows, I spotted a shrine and colourful Autumn foliage. 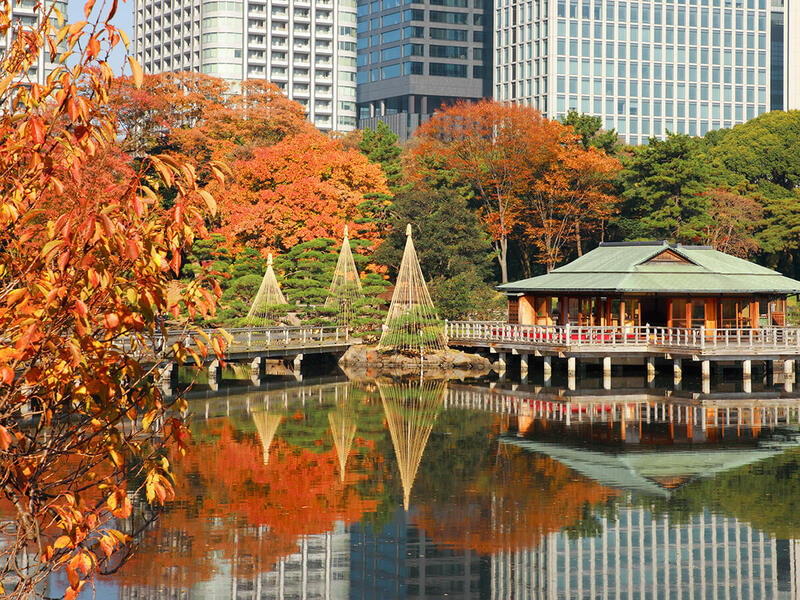 This restaurant Tokyo Shiba Tofuya Ukai is situated in one of the most beautiful settings in Tokyo. 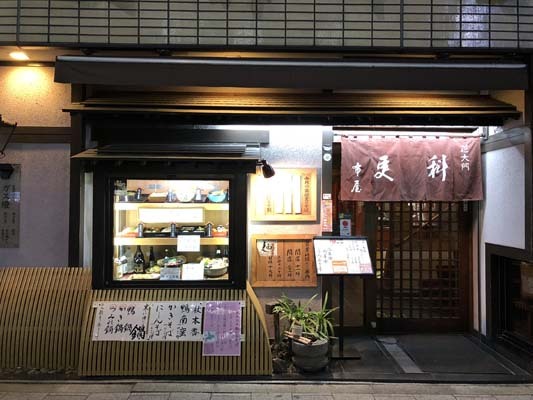 Although it resides in the heart of the city, close to the upmarket neighbourhood of Azabujuban, the restaurant still feels like a hidden gem. 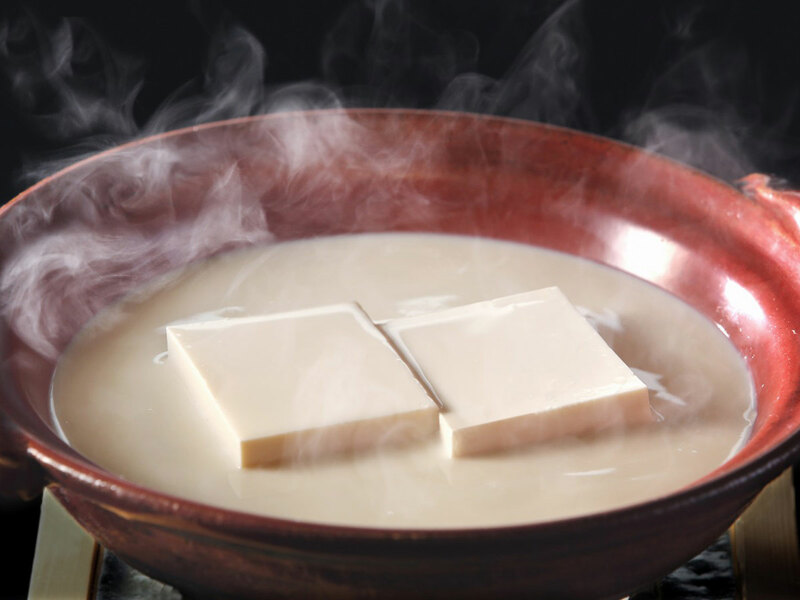 As the name suggests, this tofu restaurant spcialises in serving you tofu in many different styles of dishes, all with a seasonal touch. The service is impeccable, and dining while looking out over the beautiful garden setting is an unforgettable experience. 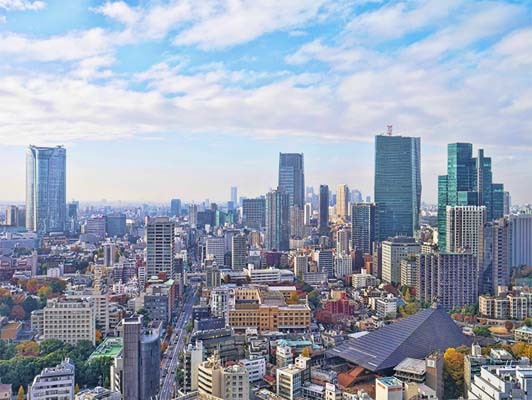 One of tokyo's most iconic landmarks and a statement along the city's skyline. 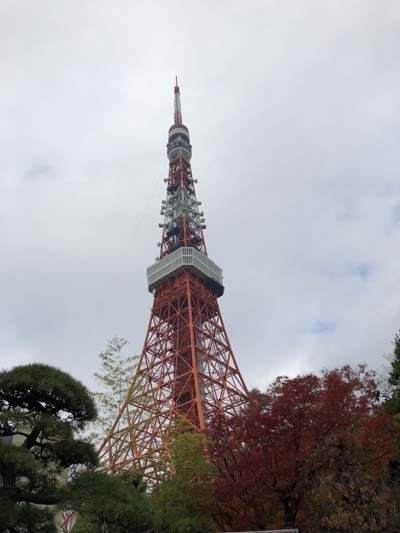 Visiting Tokyo Tower is an enjoyable way to spend your afternoon. The views of the city are endless, and there's even a small window for you to look down all the way to ground level. Enjoy a drink at the cafe or bar and soak up the views of the city. Asakusa is one of the most popular places with visitors to Tokyo and I can see why. 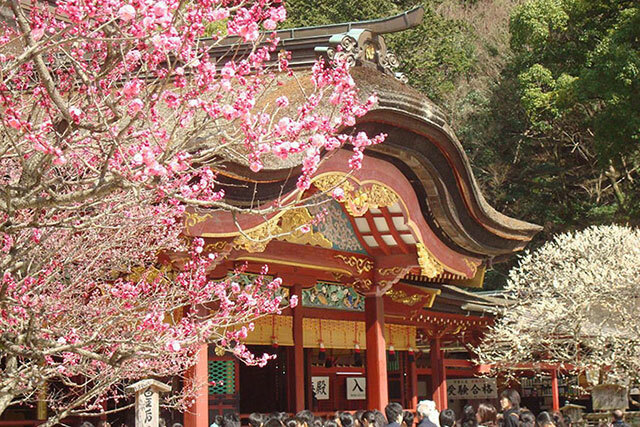 The area has some impressive temples and shrines and is a fascinating insight into Japanese culture. The view from Asakusa Tourist Information Centre, across the street from the Kaminarimon gate is worth checking out. Asakusa area is reminiscent of old Tokyo. 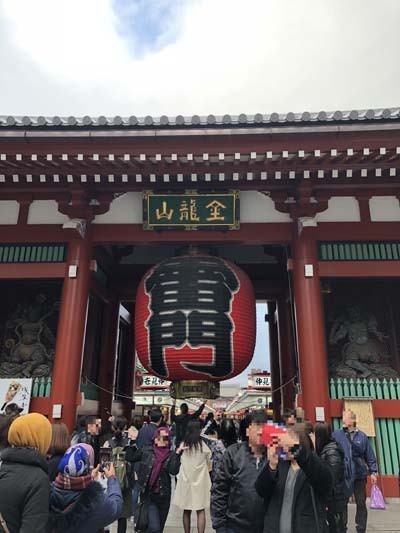 At the heart is Sensoji temple with its iconic big red lantern, a popular spot for photos. 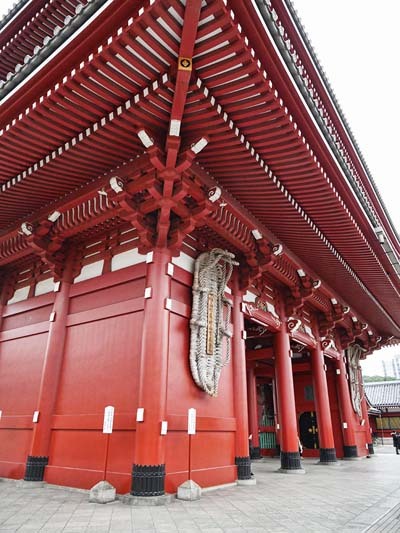 Inside the Kaminarimon gate, you will find a long shopping alley, filled with traditional arts and crafts shops, street food, and stalls. Our river boat tour took us past 12 bridges.The best spot for taking photos is at the back of the boat on the outside deck. The Rainbow Bridge looked stunning st night. 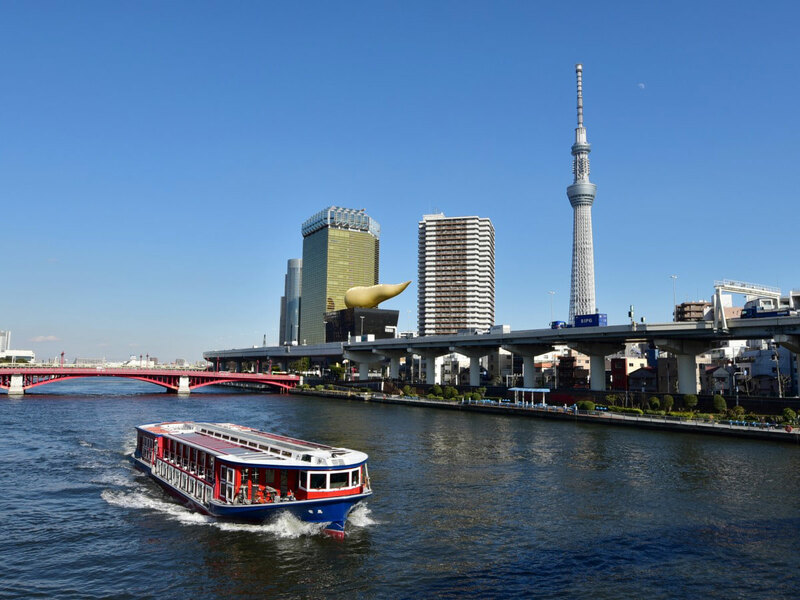 Enjoy a relaxing cruise along the river Sumida on this spacious water boat where you’ll catch some lovely views of Tokyo. 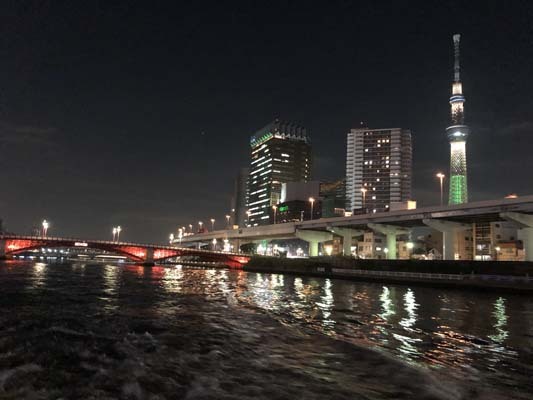 The pier is easy to find in Asakusa, and there is plenty of information available in English. During the Autumn/Winter season, the bridges that the boat passes under, are all different colours which makes for some lovely photos. The boat itself is clean, bright, with lots of large windows, it is in a classically old style, with plenty of room, a small bar downstairs with a variety of snacks and drinks, and an open area at the back of the boat where you can feel the breeze while you take in the sights of the city. 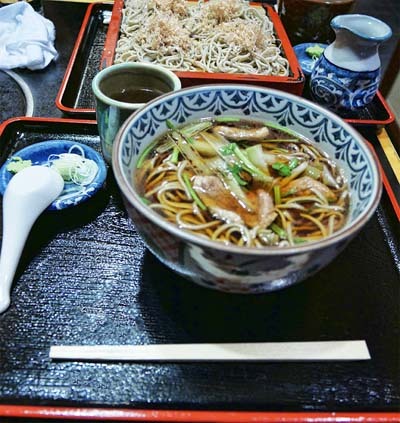 Sarashina-Nunoya is a casual place where the noodles are the star of the show. The family have been making them for hundreds of years, including their original store in the count. I really enjoyed my duck noodles in a savoury broth. 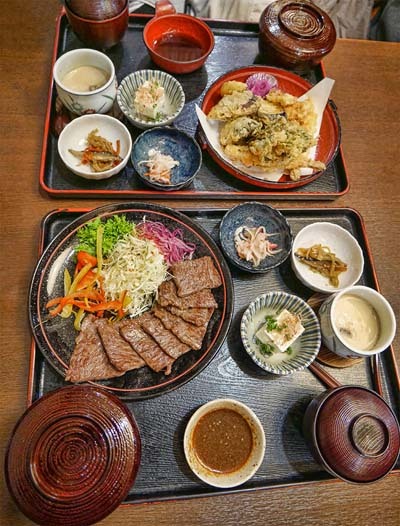 This family style restaurant Sarashina-Nunoya has been serving up a selection of traditional Japanese homemade food, mainly in Soba Noodles. There’s a large communal table in the middle and a few tables for small groups to the side. An English menu is available with pictures. 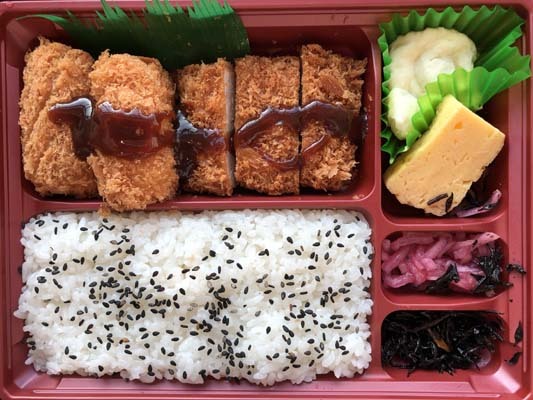 Dishes such as chicken and egg on rice, or fried pork cutlets, are served along with a selection of soba noodle set meals. The portions are generous, and the restaurant prides themselves on the fact that they don’t add any additives to their dishes. leaving you satisfied and gloriously full. 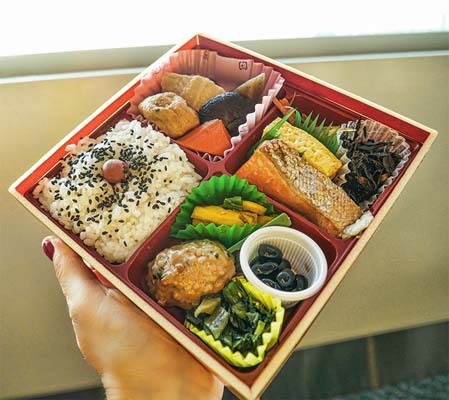 Soraben are bento boxes specifically designed for takeaway at Japanese airports. They are beautifully packaged and with lots of tasty things to try - a great start to the day! 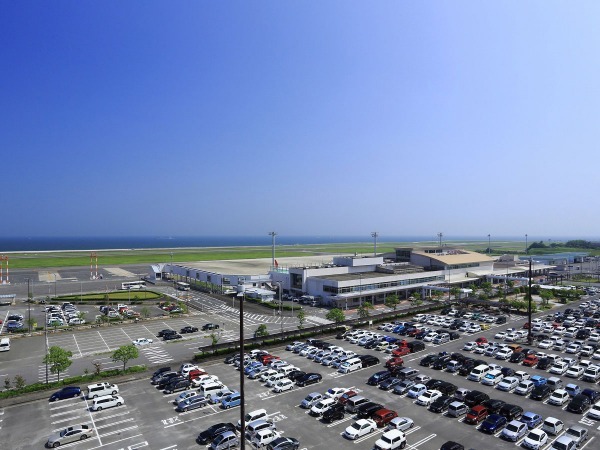 Our ANA domestic flight from Haneda to Oita left punctually and was comfortable. The flight attendant served me an apple juice and was very friendly. The soraben （a type of takeaway bento box sold at the Airports） for breakfast was delicious and a hearty way to start the day. The pork cutlet was juicy, the pickles added a nice refreshing touch, and with plenty of rice, I felt satisfiyingly full. The flight to Oita from Tokyo is a comfortable hour. 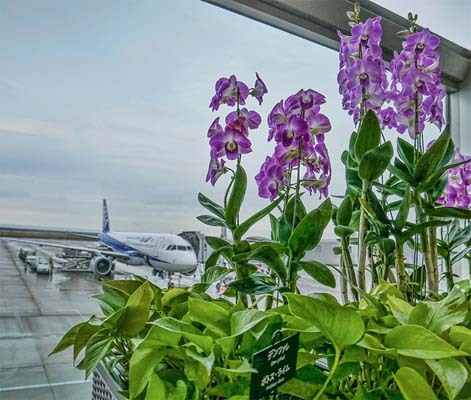 ANA is an efficient airline, from check-in to landing, and the service was pleasant. 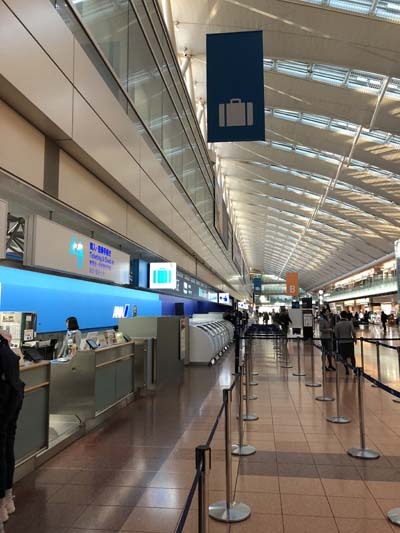 Haneda Airport makes it easy to navigate domestic flights. 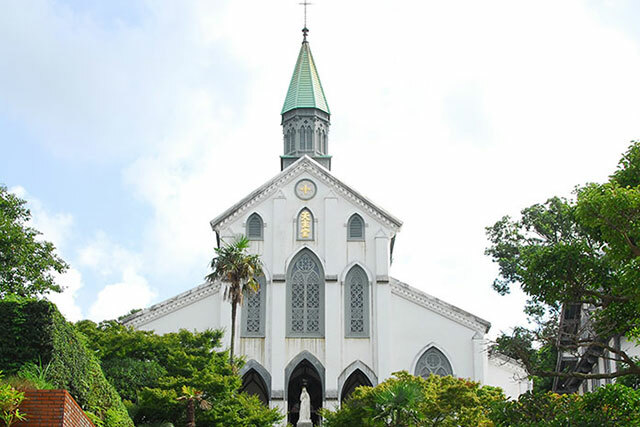 There are plenty of places to pick up souvenirs, food and drink. 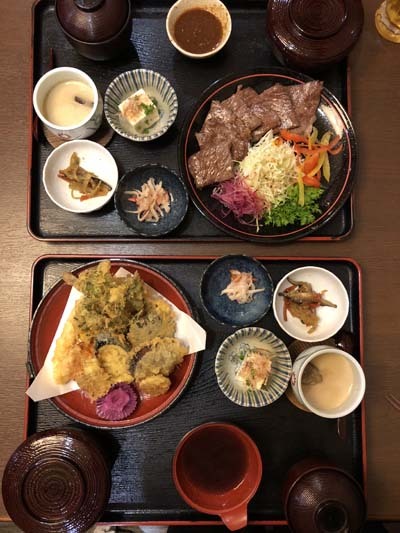 Farmers Restaurant Domon Patio is a perfect choice for lunch, run by local women who prepare delicious local dishes. The vegetable juice drink was so tasty that I had 3 glasses! The dishes are all laid out buffet style and there's an extensive choice. Farmers Restaurant Domon Patio serves up plenty of traditional, local fare. 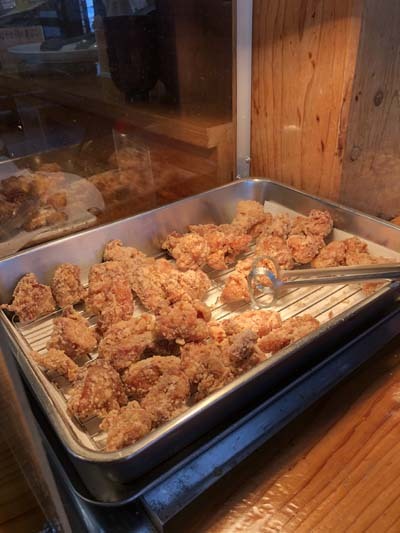 There’s a large selection of buffet dishes to choose from including karaage (fried chicken) for which the area is famous for. They specialise in a healthy vegetable juice drink which is delicious and I highly recommend you try it. The atmosphere is warm and comfortable, the restaurant is decked out in wood, and there are large windows for you to enjoy plenty of natural light and peaceful scenery. A scenic spot where rocky peaks line the river. 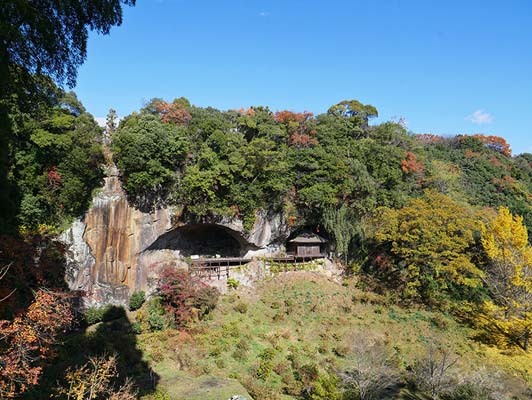 The area is dotted with many natural and historical spots, including Ao-no-domon Tunnel, Rakanji Temple, Yabakei Bridge, and Sarutobi Sentsubokyo. 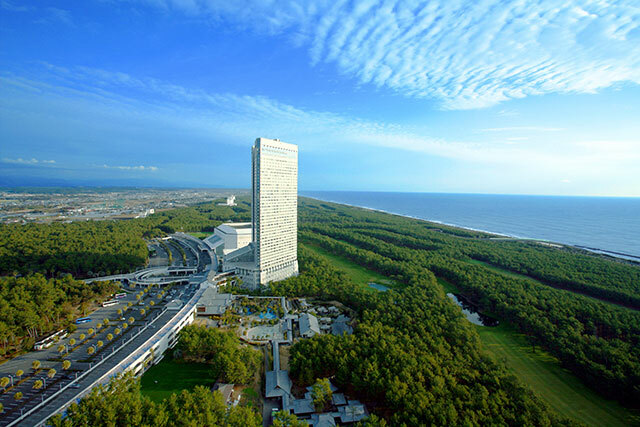 The natural beauty woven by the four seasons is also a highlight not to be missed. 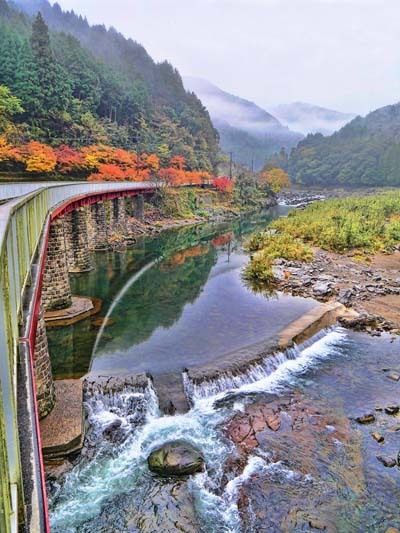 Nakatsu-Yabakei Gorge has a cycle route built on an old rail track. My rental bike was fun to ride, with a padded seat. As it was raining hard, we did about 15 minutes. I'd recommend this cycle ride to all nature lovers and those keen on sport. 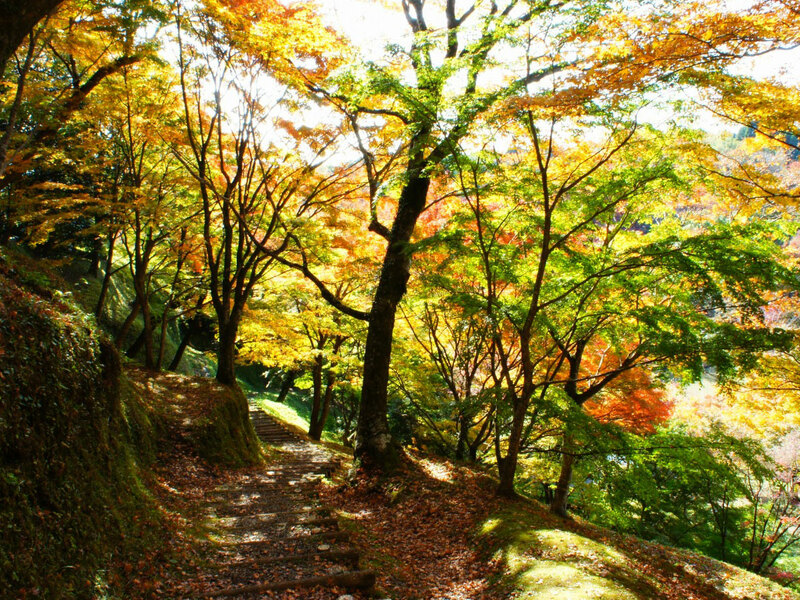 Atmospheric surroundings all around make for a pleasant walk around the Nakatsu-Yabakei gorge area. 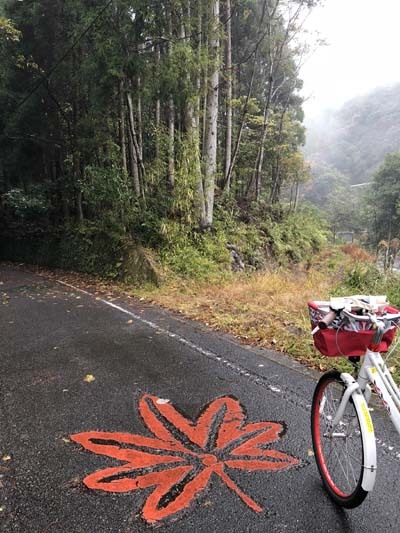 Better than walking, though, is hiring bikes locally and cycling along the path leading towards Yabakei bridge. The bikes themselves are excellent quality, with an enormous variety to choose from for all types. Riding the path along the scenic route, is invigorating, it’s hard not to stop often to take photos of all the amazing views. 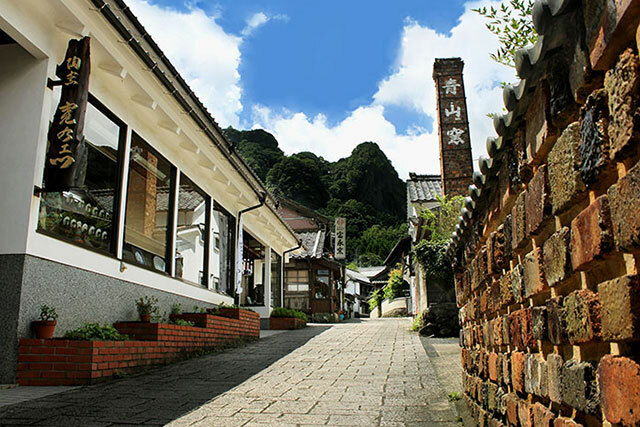 Mameda Town is known for its old merchant houses and heritage status. 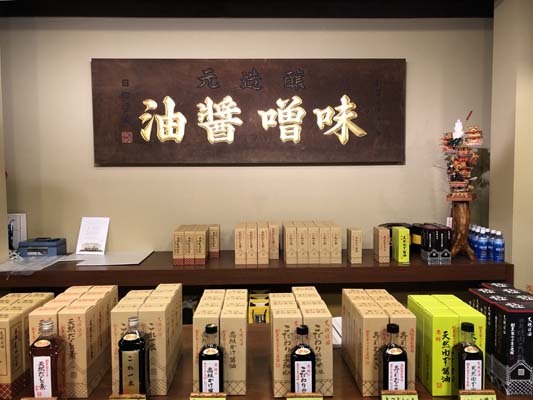 There are interesting places to visit such as Kuncho Sake Brewery Museum, where you can taste superb sakes and a little design shop, Areas. A pleasant stroll around this old-style street in Mameda Town. The buildings are reminiscent of another era. Shops such as Hita Shouyu are a pleasant surprise, the owner collects dolls, so in the back of this shop, there is a doll museum with room filled with traditional Japanese dolls called Hina-ningyo. The soy sauce itself is the speciality, and a savoury and sweet delight, with plenty of variations to choose from. 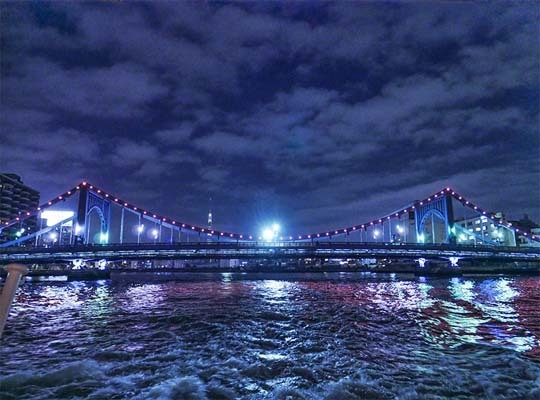 Known as suikyo" (water village) for the beauty of its rich waters and river banks. 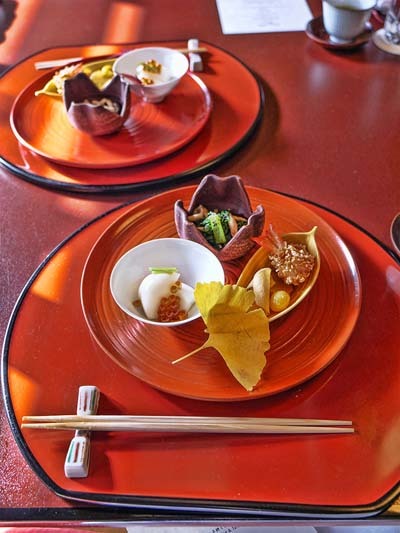 After taking a hot spring bath, enjoy a meal on a houseboat while dressed in your yukata. The townscape of an imperial fief that had once prospered under the control of the shogunate remain to the present day. The neighborhood of Mameda is known as the "little Kyoto of Kyushu," and is filled with a sentimental atmosphere. " Hita Onsen Hina-no-Sato SANYOKAN is a clean and centrally located hotel, with its own onsen located on the 3rd floor of the hotel with a river view. I had the opportunity to sleep in a traditional Japanese style room, which was fun to try and comfortable. Hita Onsen Hina-no-Sato SANYOKAN with a riverside setting, the rooms here are large and in the traditional Japanese style, you sleep on the floor on a futon which was surprisingly comfortable. 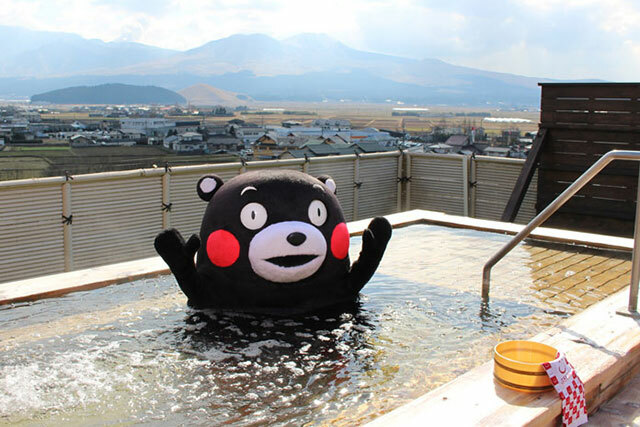 The bathroom is basic, but this is because you get to bathe and relax in an onsen (hot spring). There are plenty of amenities in the hot spring, such as hair care, hair brushes, and other small items. 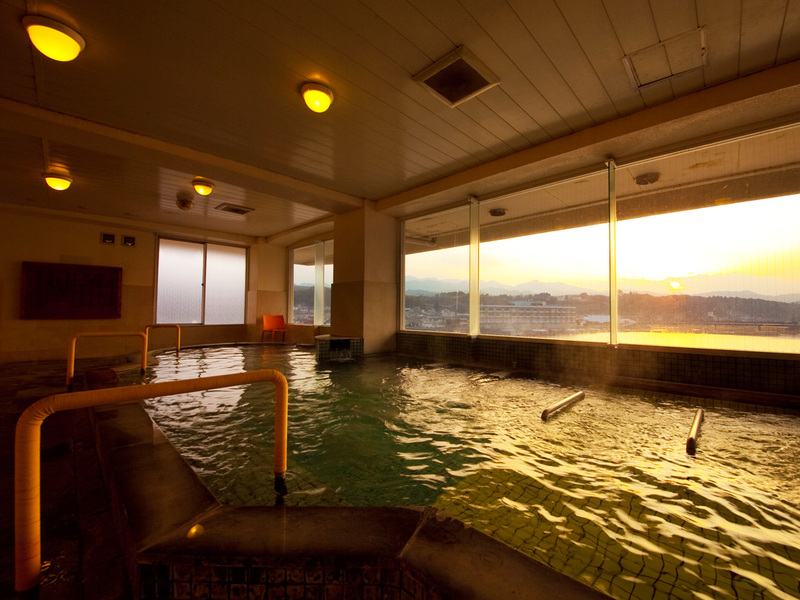 There is one indoor hot spring, and one outdoor, which is quite a refreshing way to wake yourself up in the morning, or to relax before bedtime. 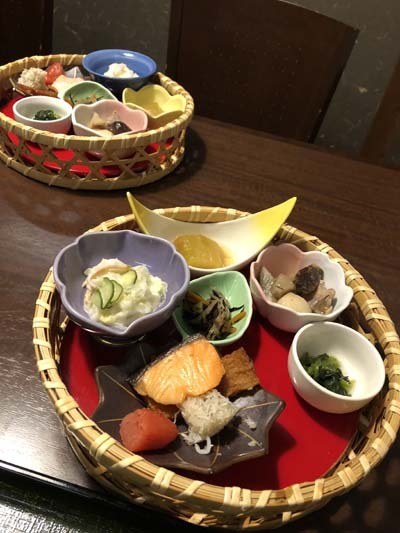 The breakfast is in the traditional Japanese style, with a pretty basket filled with various fish and pickles awaiting you. The buffet has a selection of dishes such as rice and miso soup. 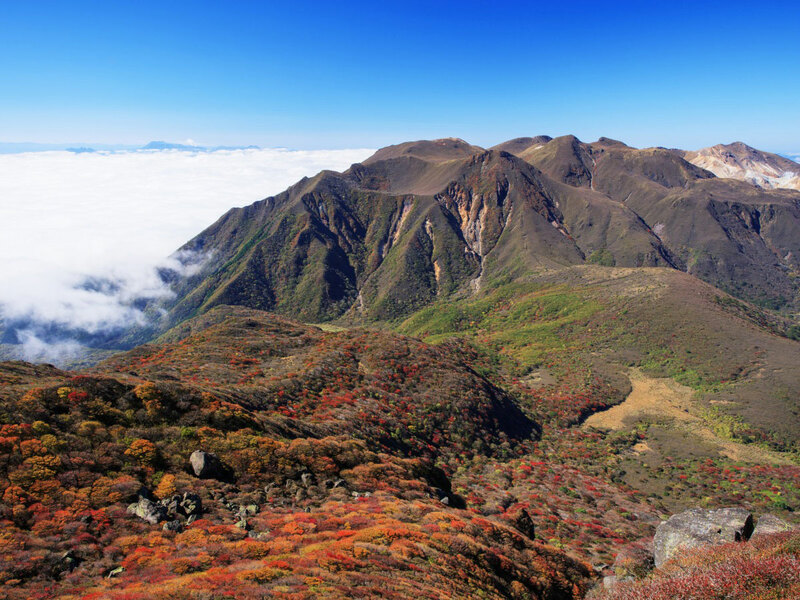 Mount Kuju is ideal to visit in May when it's covered in azaleas, or October when the trees turn red. We popped into Chojabaru Visitor Centre where the manager who spoke excellent English took us on a tour of the boardwalk. 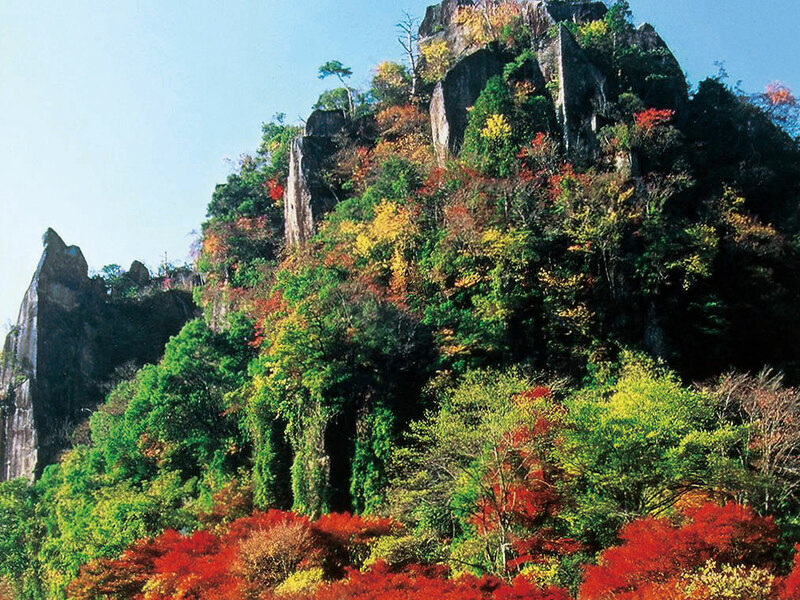 Set in a abundance rolling mountains, the Kuju area is a picturesque landscape. 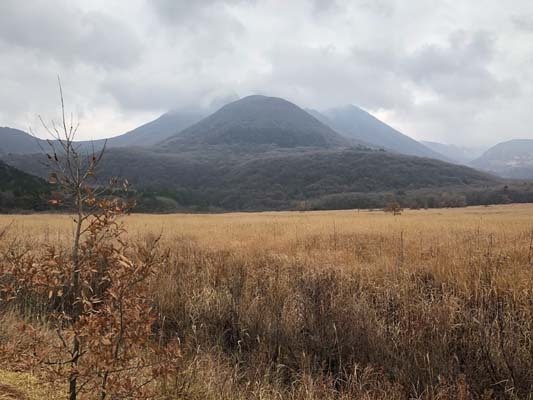 The best way to experience the area is to visit the Visitor Centre where you will learn valuable information from the people at Kuju’s nature conservation council. It’s perfect for families as they have a kids corner to occupy the younger ones, as well as various activities such as a stamp rally (they even have one in English!). A screening of a video showing the various seasons is useful to watch before setting out on a stroll around the marshland. The walk is fairly easy and the still setting is a wonderful way to spend the day. 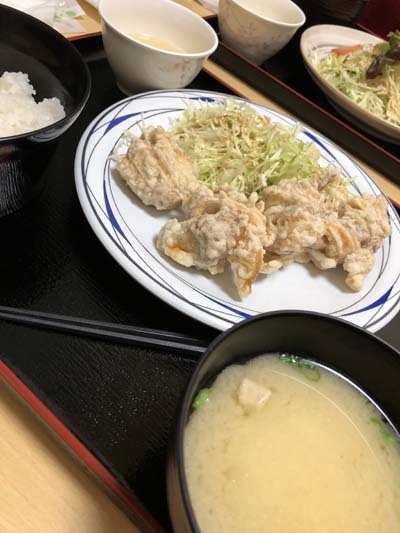 Marufuku is famous for its fried chicken. The toriten or chicken tempura was particularly tasty. The restaurant has 2 types of seating - an open plan area with tables and chairs and individual booths with traditional Japanese seating - very cosy. Oka Castle Ruins were a real highlight of my Oita region trip. 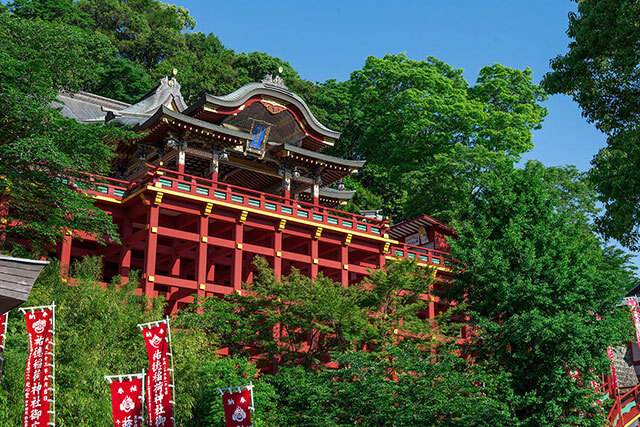 Originally constructed in 1185 it's built on a hill with great views towards the Kuju mountain range and a statue of Rentarō Taki who composed Moon Over the Ruined Castle. 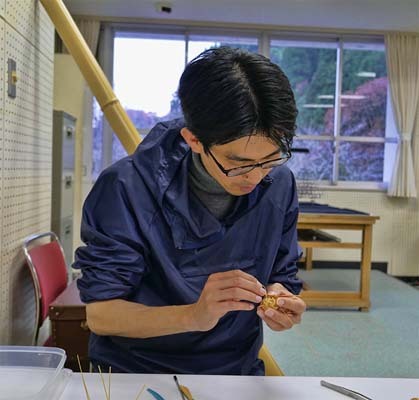 At TSG(Takeda Sogo Gakuin) I tried my hand at bamboo pendant making. 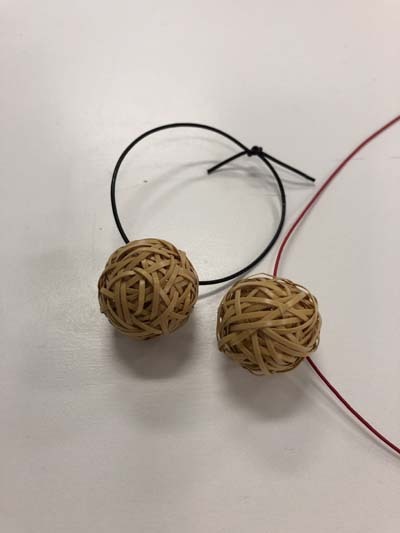 Our tutor was a talented artist who explained how to shape the pendant by threading the bamboo strands to create a ball shape. I was happy with the end result. 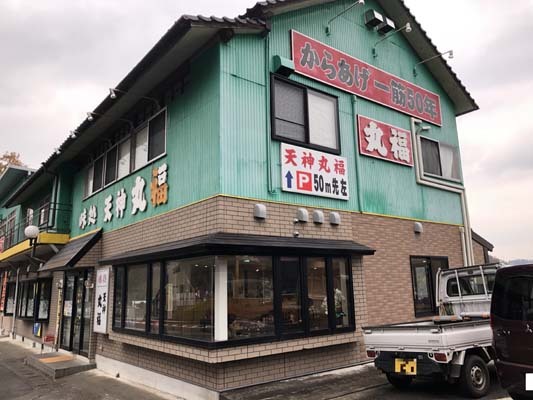 Taketa city is famous for its fried chicken and what better way to try it, than in Marufuku where you will enjoy some of the best fried chicken in the area! The lunch is a set meal so it’s really good value as it comes with soup and rice. There are various types of fried chicken to choose from with plenty of pictures on the menu so it’s really easy to order. You can sit in a private room with your friends or family, or dine out in the communal space. They also serve alcohol so you can have a refreshing beer or two to reward yourself after walking around the marshland. 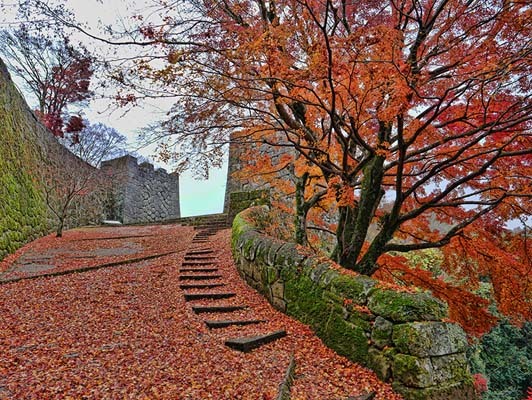 The Oka Castle Ruins are an interesting spot that is best enjoyed with a guide. You really get a sense of history and it’s easy to get a sense of enjoyment from the stories of days gone past. 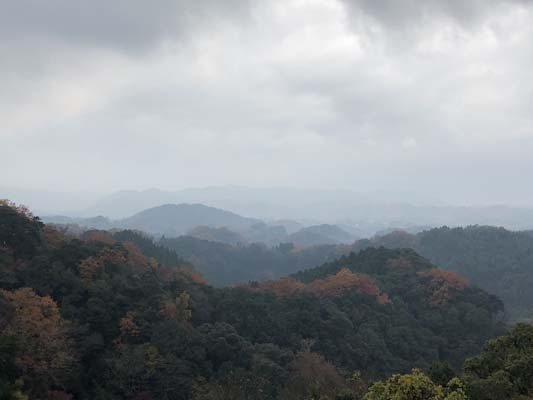 The views from the Oka Castle Ruins are stunning, particularly in autumn where the colours of the trees pop out. There are a good number of facilities available here, and at the top, they have rebuilt the bath area which now houses modern bathrooms for you to use. 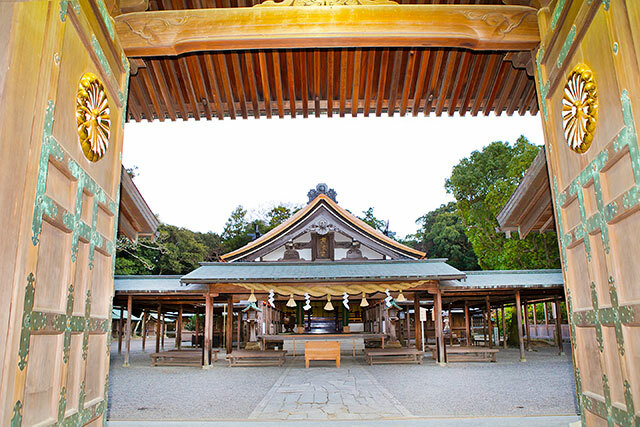 At the top of the stairs, there is a shrine, and also what used to be the lookout point from where you can see cars driving through the mountainous area. At TSG (Taketa Sogo Gakuin) you can learn to make bamboo crafts by a skilled bamboo art teacher. The lesson itself is explained through a translator, and the output of a bamboo pendant is the result, which can take many forms, e.g big or small, round or oval etc. Kajika-an is a traditional restaurant in Nagayu Onsen. I enjoyed my beef dish as the meat was excellent quality and it was nicely flavoured. Kajika-an is a Japanese style restaurant where you can enjoy a variety of traditional Japanese dishes such as grilled meat, fish, tempura, etc. 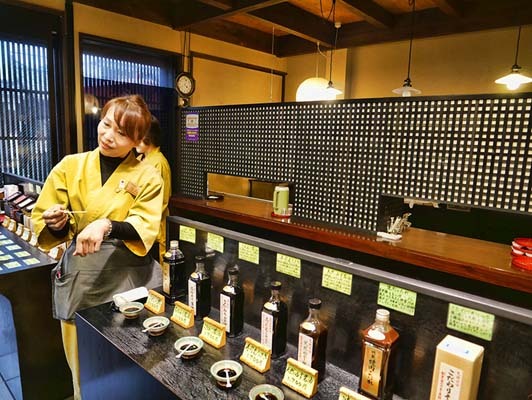 There is an extensive drinks menu serving everything from Japanese sake, to beers, wines, and soft drinks. The tempura I had was lightly fried and not greasy which was a nice surprise. 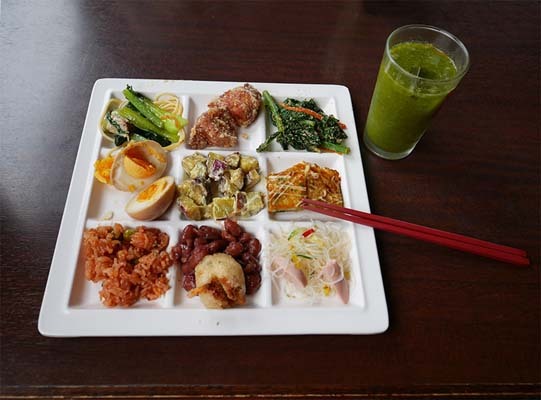 Most of the meals are served as a set with rice, soup, and pickled vegetables. 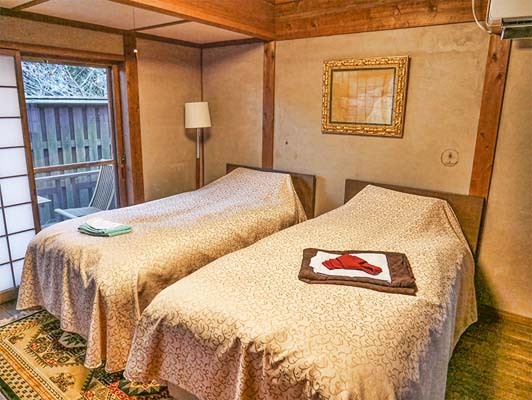 B・B・C Nagayu is refined lodging, set in a tranquil location on the edge of a forest. 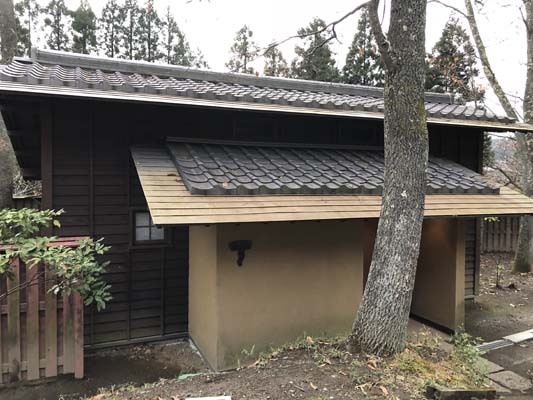 There are no showers or baths as you wash at the nearby Nagayu Onsen down the hill which has carbonated hot spring water with a pleasing bubbling effect. 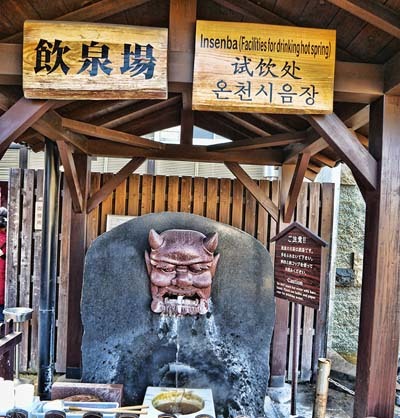 The highlight of this Nagayu Onsen area is being able to experience onsen (hot spring) with carbonated water. It feels quite different on your skin but in a pleasant way. If you love hot springs, then you must visit here. Hot springs are communal here, however, this one has a private bath for you to use and basic facilities. 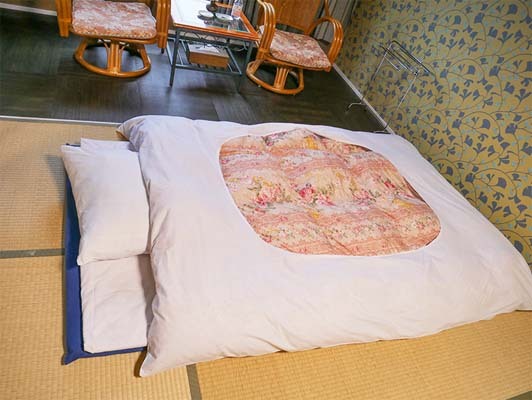 The cottages at B・B・C Nagayu are spacious and warm. The decor is simple, yet modern. There is a kitchenette, plenty of lighting and exceptionally clean. There’s also a nice outdoor seating area, a little desk set in an alcove which is perfect for writing. The toilet has an automatic flush! It’s really quite modern and there is a spacious sink area. Overall the setting is very peaceful with a relaxing ambience. Breakfast is served and neatly laid out in the library. We had a boiled egg, something that was similar to porridge, tofu, and a pickled plum. There is a choice of drinks such as coffee, tea, etc. Olle Oku Bungo course in Kyushu is a 12 km long route with many attractions along the way such as Yujaku Park with its lovely lake. The highlight of my walk was Fuko-ji Temple. It's a very serene place and there's a giant Buddha carved from a boulder. 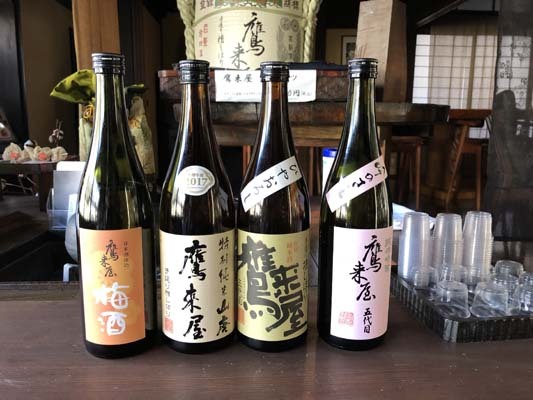 Hamashima Shuzo Takakiya is a specialty sake brewery using traditional methods. We were lucky to be given a tour by the CEO and also chatted to his charming wife and daughter who speaks perfect English. The start of Oku Bungo course is at the station visitor centre. English information is available in the form of a walking tour map. This course is trail that you can easily follow by looking out for sign posts with different colours, that indicate which direction you should follow. 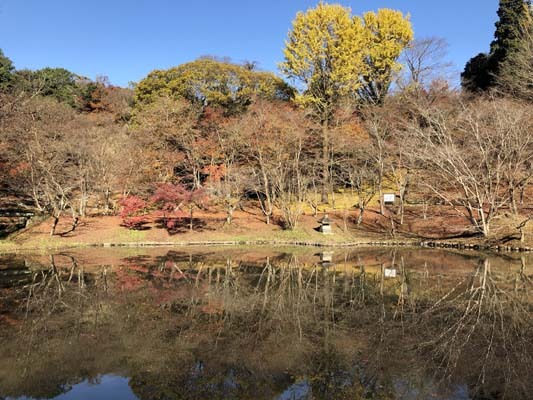 During this walk you will pass a pond, that during the start of autumn has a special stage set up on the middle of it with various events, such as special shinto shrine dances. You will also pass by rice paddies. During Autumn, harvesting season is over, and you can hear the sounds of acorns falling, it really makes you feel like you are in nature. Further along the course, you will find a temple with views of Buddha carved into stone. You can walk up closer to these about 800 year old carvings, it is certainly a pleasant surprise to come across something like this. Be sure to take comfortable walking shoes with you! 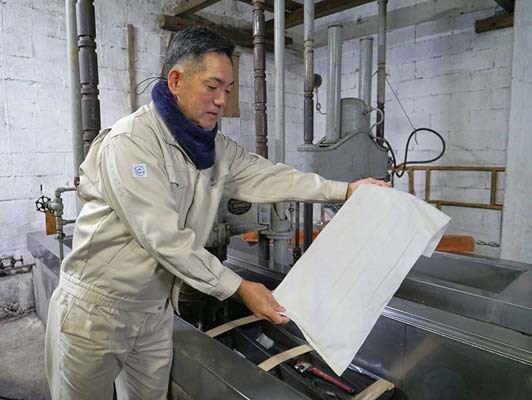 Hamashima Shuzo-Takakiya, a 5th generation family run sake brewery produces, on average, around 70,000 bottles per year. They use old-fashioned pressure methods which gives their sake their unique selling point. Visiting during Autumn/Winter season is a busy time for production, so it’s a good time to visit if you are interested in that. The family also own their own rice paddy which produces the grain for the sake. I drank the hot spring water at the fountain in the city of Beppu. It’s said to be good if you have gastroenteritis, diabetes or gout so it's definitely worth trying! Kitsuki is a castle town where you can rent a kimono and walk around town. We didn't have time but I did briefly try on a kimono in the shop. We visited the Ohara Residence where a samurai family lived during the Edo period, which had a lovely garden. 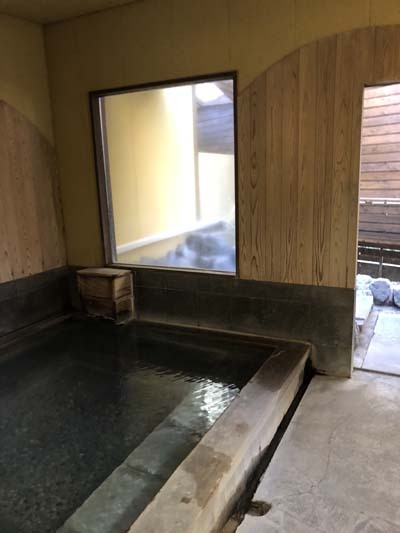 We visited Kannawa Onsen area and one of this hot spring you are able to book a private room that has one indoor and one outdoor hot spring bath. The rooms are usually used for small families so it can feel quite luxurious for one person. It is very relaxing inside with a sink, seating, and baskets for your personal belongings. The hot spring outside has a blue-ish tinge to it and is surrounded by natural stones and rocks. 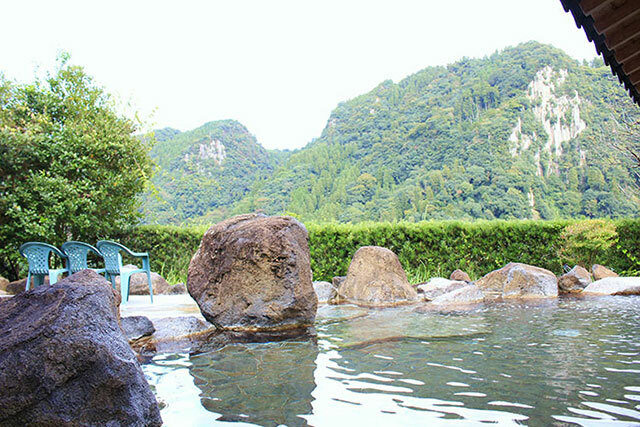 It’s great to feel like you are out in nature with the contrast of hot water and cool air, and the perfect way to warm your entire body by relaxing in this hot spring. Kitsuki Castle Town is a quaint area with two steep hills sandwiched on either side of an old style shopping street. Each shop is 100s of years old and passed down generations of families. 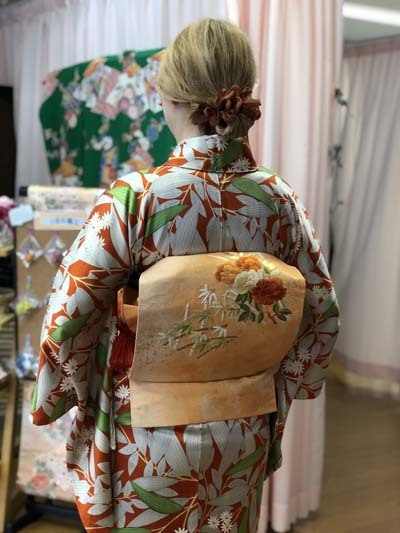 Here you can visit a kimono shop and dress up in traditional Japanese dress. The experienced owner will wrap you up in less than 10 minutes! From there you can wander around the town (you can get in the public tourist and cultural facilities for free if you are wearing kimono). 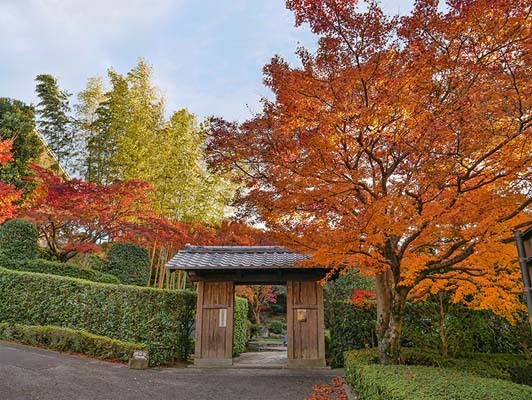 The Japanese gardens in reconstructions of samurai houses are beautifully kept and here you can picture what it was like to walk through the grounds in those days, particularly if you are dressed in a kimono! 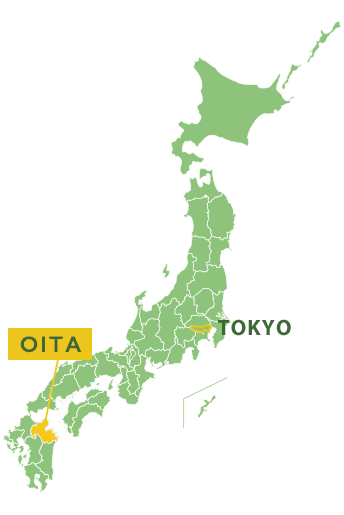 Oita is a beautiful region and one that I'd like to return to in order to try some of the scenic onsen and to hike in the stunning countryside. The people are friendly and the food is excellent - highly recommended. 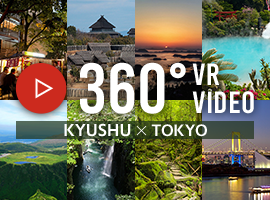 This trip takes you to some of Tokyo and Oita Prefecture’s top spots and is a great way to experience busy city life as well as the idyllic countryside. 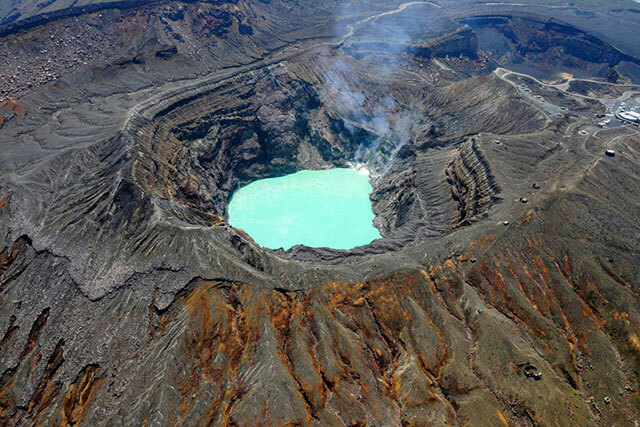 For those of you who love adventure and hot springs, this tour is perfect for you! 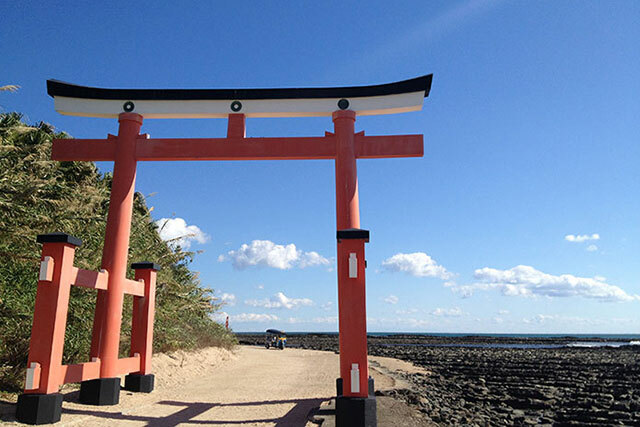 The tour gives you a great insight into Japanese culture and traditions in both Tokyo and Oita. 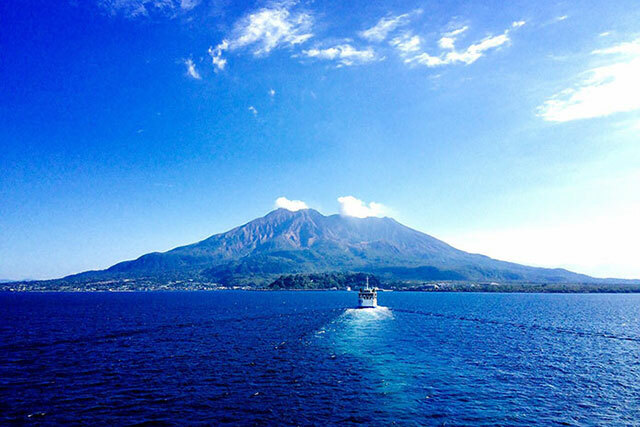 I would say it is ideal for first time visitors or travellers who have visited Japan before. This is a great tour for people who love the outdoors, adventure, and hot springs. 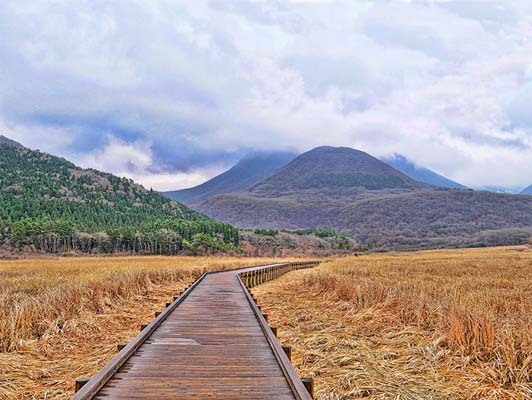 You can wander around tranquil spots in the big city and relax in hot springs in the serene countryside of Oita Prefecture. I like to read and listen to music. I also love art and crafts, and I enjoy collecting stationery.